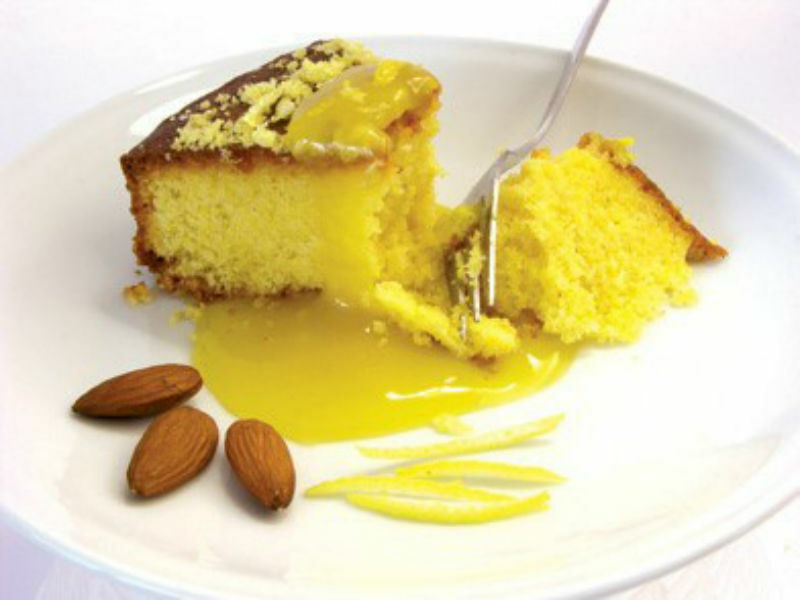 A really moreish dessert cake made with polenta and ground almonds instead of flour. Almond and polenta give this cake a wonderful texture. Serve with zesty lemon icing and orange cream cheese. 1. Preheat oven to 160oC. 2. Mix butter and castor sugar until light and fluffy. 3. Beat in the eggs and gradually add in the ground almonds and beat well. 4. Stir in Polenta, baking powder, zest of one lemon or orange and juice of half a lemon or orange. 6. While cake is baking, grate the rind of remaining lemon or oranges and extract the juice. 7. Place rind, juice and extra castor sugar in saucepan, heat gently until sugar dissolves. 8. When cake is cooked, remove it from the oven and prick all over with a skewer - immediately pour syrup over the cake and let it soak in. 9. Leave to cool in the tin, then remove and wrap in foil until serving. 10. This cake will keep for a few days and will freeze very well even with the syrup in it. 11. You can warm for a few seconds in the microwave before serving.